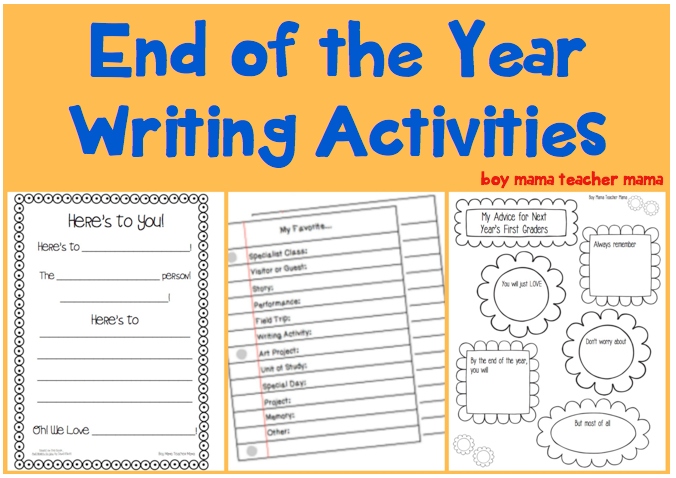 I have 4 end of the year activities to share today. I would love to give away some of these activities to you all for FREE. In order to win, simply comment on this post to enter. And I would love it if you would pop on over to our Facebook page and like it, but will not make that a requirement. I know, I am a softy…. Important Details: The winners (3) will be chosen at random. Each winner may choose one (1) item which I will send along via email. I ask that you do not share or sell the item as it is property of Boy Mama Teacher Mama. The giveaway begins May 28, 2014 when this post goes live and ends on Sunday, June 1, 2014 at 7:00 pm (Pacific Time in the US). All prizes are final and cannot be exchanged. Winners must reply via email within 24 hours or a new winner will be randomly selected. 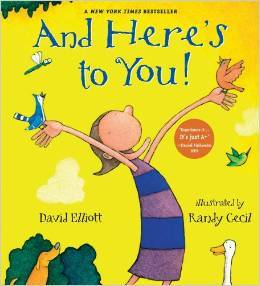 This writing activity is based on the book, Here’s to You! by David Elliott. Here’s to the spiny ones. The river and briny ones. The toothy and the eely ones. All the squishy squishy feely ones. Oh, I love the fish! Here’s to the birds and the bears and the bugs! Here’s to the weird and wacky, the cute the creepy. Here’s to all animals and here’s to you! And here’s to all the wonderful people that work in your school–the music people, the movement people, the in-charge people and the art people! After reading this book, use the template to write a thank you rhyme to all the the special individuals in your school who have helped throughout the year. As a class, brainstorm all the people that have supported you this year. 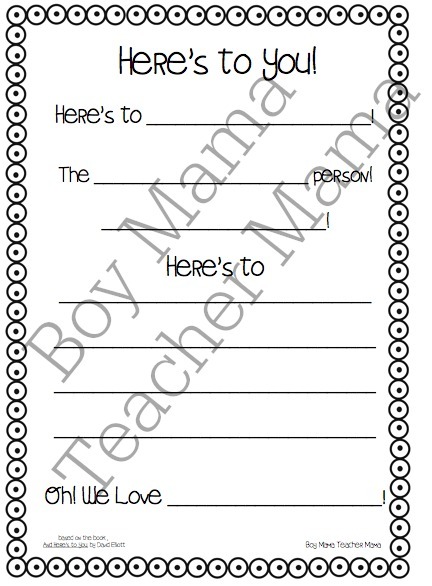 Have each child or pairs of students chose one individual to write to. The first line holds the person’s name. The next is basically their area of specialty (science, music, art, principal etc). The next space is one word that relates to their job. 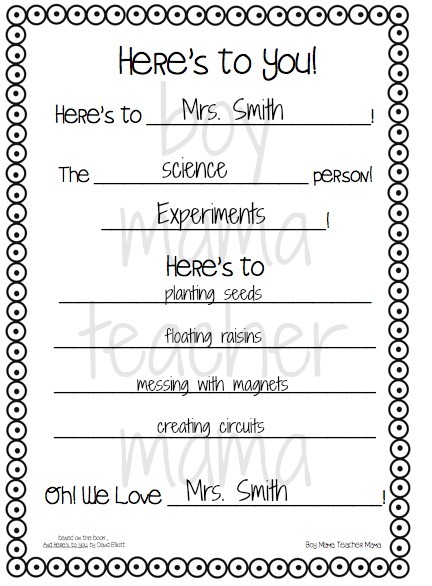 The next 4 lines are activities or experiences that relate to that person and/or his/her class. The final line repeats the person’s name. Once the writing is done, have the students color it and deliver! Here’s to You is available for purchase here. I love to have my students pass on some advice to the incoming group. 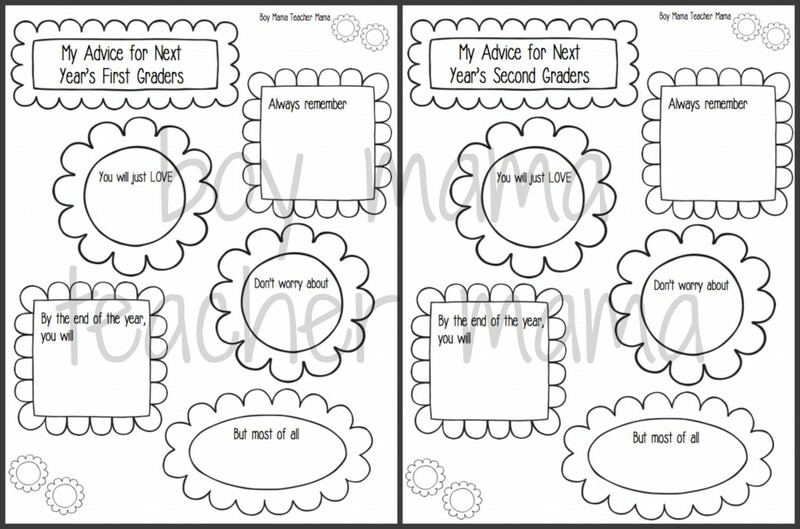 I have done this a variety of different ways over the years, but this year I plan to use this simple graphic organizer to pass along our advice. 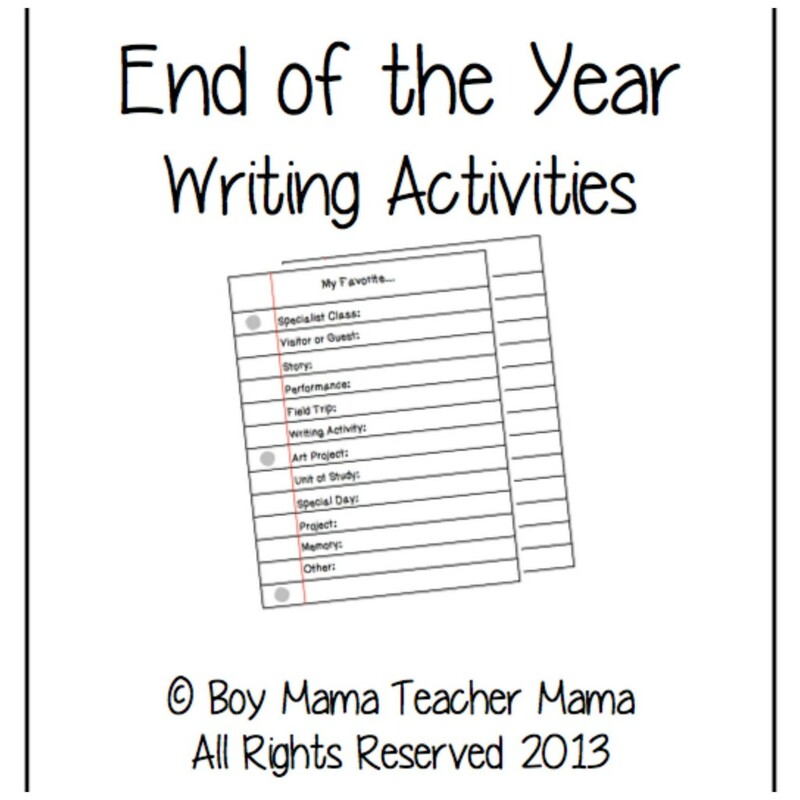 Over 40 pages of end of the year writing prompts, graphic organizers, writing paper, plan sheets and more. Also includes a summer word search. Great for reflecting on the school year, for memory books and for the last pages of a portfolio. REMEMBER- to have a chance to win one (1) of these products, leave a comment below about how and where you would use the product!